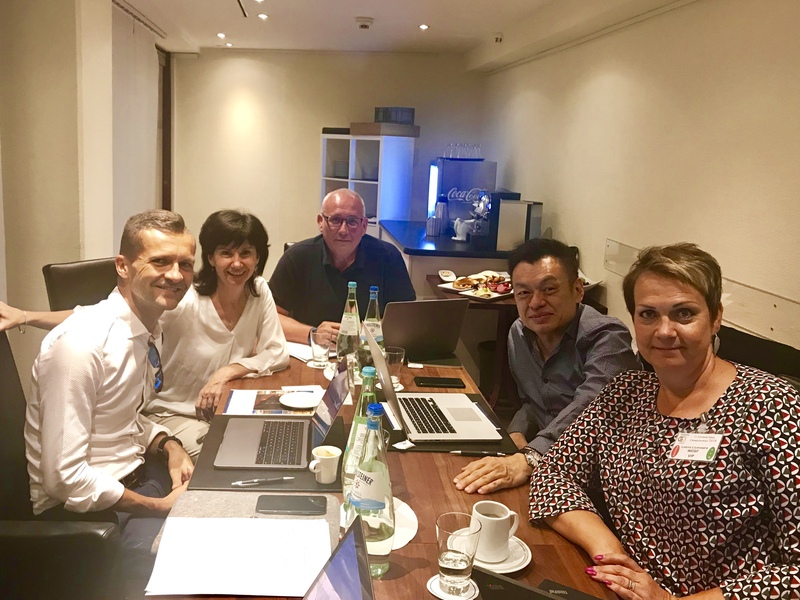 Today Dance Sport Europe officers met WDSF CEO Shawn Tay and WDSF General Secretary Nenad Jeftic to find the agreement and deeper cooperation in developing the DanceSport. We find the meeting extremely positive with new ideas and new projects can be run by DSE in near future. Find all upcoming DanceSportEurope competitions in our calendar. You can also see past results of all DanceSportEurope competitions. DanceSport Europe, DSE, is established to promote European perspective within World DanceSport. DSE collects its European member bodies together and offers a platform for discussing the future development of DanceSport in Europe. DSE discusses with different European networks as regards taking DanceSport closer to the Olympic family in a fair and active way. In addition, DSE supports its members for innovating new ideas in organizing competitions, for gaining more visibility and interest in media and in the eyes of sponsors. DanceSport Europe takes steps for establishing cups and competitions that have not been organized in Europe before and accordingly take the responsibility of developing the DSE competition calendar.